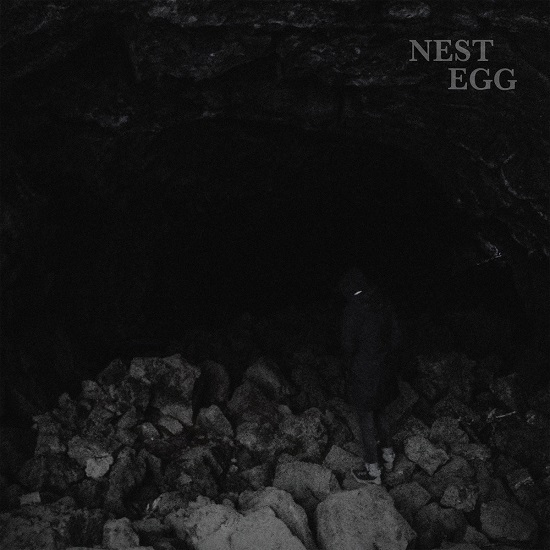 Nest Egg are a three-piece from Asheville, North Carolina who describe their head-heavy and kosmische psych-rock wig-outs as ‘mood music for nihilists’. Following a handful of tapes and singles, in 2015 the band released their debut album ‘Respectable’ – a record which cemented their minimalistic kraut-punk jams as one of the most exciting new exports in the States. Three years on and the band have taken for international waters, joining forces with London-label Fuzz Club for the release of their sophomore album ‘Nothingness Is Not A Curse’, out April 13th. In a similar ballpark to the likes of Moon Duo or Follakzoid, the new record see’s Nest Egg free-fall down an all-consuming rabbit-hole of cosmic repetition, tripped-out drones, swirling analogue synths and cacophonous guitars; the driving krautrock gusto never letting loose for a second. Nest Egg is the brainchild of Harvey leisure (guitar/vocals), Ross Gentry (bass/keys) and Thom Nguyen (drums). Formed back in 2011, the band have built up a formidable reputation in the US live circuit, playing with everyone who’s anyone – from garage juggernauts Thee Oh Sees to space-rock innovators Loop.